A lot of the albums that have captured the UK’s interest are full of hits, big bombastic tunes that were inescapable on radio. Even the more down tempo acts, Dido and such, still have radio friendly hits in the waiting. Come Away With Me is a jazz album, there’s no escaping it, but its simplicity is what makes it a truly special record. Norah Jones appears here on the title track fully formed. It’s rare for an act to make such a strikingly understated debut, while remaining about as fully formed as you’d expect years into a career. She teases ‘I can’t help myself’ over the bluesy I’ve Got To See You Again while Cold, Cold Heart swings along with twinkles of jazz piano. It’s ‘easy listening’ through and through but in the best kind of way. This is a voice that brims with confidence, impossibly so considering Jones was just 22 on the album’s release. Even on the songs that she didn’t have a hand in writing, most notably breakthrough track Don’t Know Why, she brings a mature and effortless performance. There’s a reason that her and the writer of Don’t Know Why Jesse Harris walked away with a Big 4 clean sweep at the 2003 Grammy awards, it’s a record that has such wide appeal it’s easy to see why Come Away With Me went on to become such a huge seller. For me, I’ve heard Come Away With Me more than most albums on this list, it was a favourite of my Dad’s when he had a relaxing evening of cooking ahead of him. It was always welcome though, especially a highlight like guitar ballad Nightingale which could cut through a conversation like the best songs do. Come Away With Me is an album I’ll always be happy to hear, the debut of one of music’s most memorable voices. Will I listen again? : Yes, I finally have it as part of my own iTunes collection. Best Track: The best songs here are the ones that rely most on the full jazz sound and I’ve Got To See You Again stands out for me, full of blues and soul. 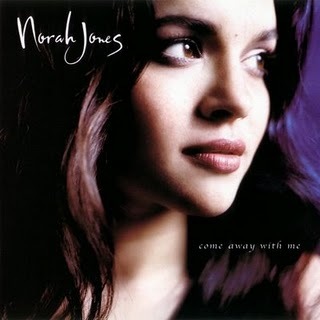 Tags: Come Away With Me, Norah Jones, The UKs Greatest Hits. Bookmark the permalink.